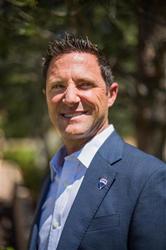 Colorado Springs RE/MAX Properties Realtor and author Tommy Daly lists the top three tips on how to find the right Realtor when buying or selling a home. Realtors who are selling two to four homes or more per month are on the right track. You want someone who is active and selling properties. “It is essential that your Realtor has a passion for real estate as well as ethics,” said Daly, author of Wealthy Home Seller Secrets. No. 2: Find a full-time Realtor. There are those who work part-time as Realtors and have another full-time job. Flexibility of scheduling will be a problem if this is the case. “You want someone who will be available when you are and who won’t be at their ‘real’ job if problems arise during the transaction,” added Daly. Tommy Daly works with both buyers and sellers and has over 25 years of experience in the business and military communities. He has co-authored five books for buyers and sellers. For more information, please call (719) 722-0080, visit http://www.TommyDalyHomeTeam.com or email him at Tommy.Daly(at)WeSellMore.net. Tommy has five office locations in Colorado Springs and works primarily out of his Tenderfoot Hill St. location, just five miles from Fort Carson and nine miles from Peterson AFB. His RE/MAX Properties, Inc. office is located at 2630 Tenderfoot Hill Street, Suite 100, Colorado Springs, CO 80906.